Sylhet is situated in the North Eastern part of Bangladesh, and has witnessed a dearth of modern medical care infrastructure. Being the biggest city in the North East, Sylhet has excellent connectivity by air, road and rail. Because of this, we are confident that Al Haramain Hospital will cater to the healthcare needs of the entire region in a progressive and compassionate manner. Al Haramain Hospital is equipped with ultra-modern medical equipment and skilled manpower to ensure the consistent and reliable delivery of the highest standards of healthcare. We will also focus on delivering the utmost services at an affordable cost, and create a benchmark in quality healthcare in the country. The values we hold are integral to our daily tasks and very much aligned with our mission and vision. We believe that compassionate care will pave the way for us to achieve our vision. We plan to invest more in resources in order to keep pace with the changing world, and with evolving healthcare needs. We also aspire to improve the country’s access to affordable yet modern healthcare. It is against this background that as the Chairman, I am confident that Al Haramain Hospital will become a successful, trusted name in the healthcare industry of the country in the foreseeable future and we solicit your support and wishes in our endeavor. > Awarded Commercially Important Person (CIP) for four consecutive years in 2012, 2013, 2014 and 2015. 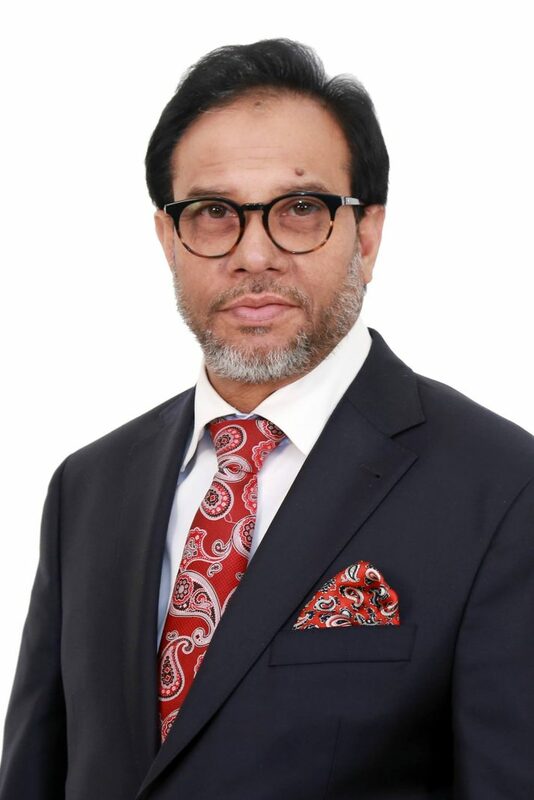 > Recipient of the Bangladesh Bank Remittance Award for 2013, 2014 and 2015 by the government of Bangladesh. > Conferred the Degree of Honorary Doctoral of Philosophy in World Peace and Morality Business Administration by the International University of Morality. > Chairman and Managing Director of Al Haramain Perfumes Group of Companies – Based in the Middle Eastern Region.